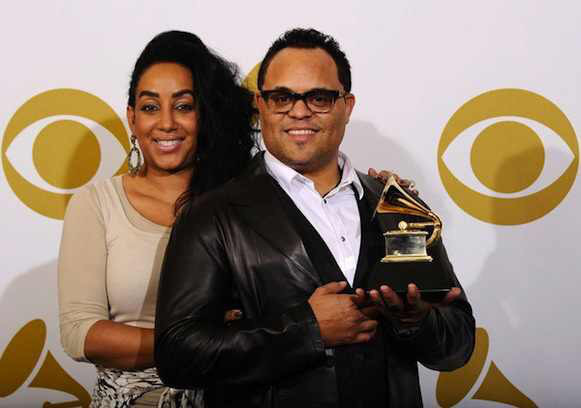 Grammy Award Winning Gospel artiste, Israel Houghton has announced that he has officially divorced his wife after 20 years of marriage. It is with a collective heavy heart that we announce that after over 20 years of marriage and a long separation, Meleasa and I are officially divorced. Several years ago I failed and sinned in my marriage. Though this is new to many, it is not new to us as we have been working through this for over 5 years. Although we tried, the challenges in our relationship have proven too much to overcome. We have always handled our family and ministry with grace and generosity toward others, discretion, and privacy. So, for the sake of our amazing kids, we are also handling this privately with pastoral oversight and assistance. We choose to remain friendly and kind to each other going forward. I am in the process of restoration and I have repented for my actions. Although I am sincerely sorry, and forgiven, I soberly realize that I will live with the consequences of my failings for the rest of my life. As this has become a public matter I want to apologize to the many who have supported my ministry through the years. I’m sorry for the many who will be hurt to learn of my personal failure. I regret any pain or disappointment that this news may cause you. We thank you for your prayers and for allowing us to handle this privately with those who are set over us in this process. Our prayers go out to him and his wife during this trying period. This is also a warning to all Christians that we need to watch and pray lest we fall.